Sri 1008 Sri Suguneendra Theertha Swamiji of Udupi Sri Puthige Matha established the Shri Krishna Vrundavana in December 2002. 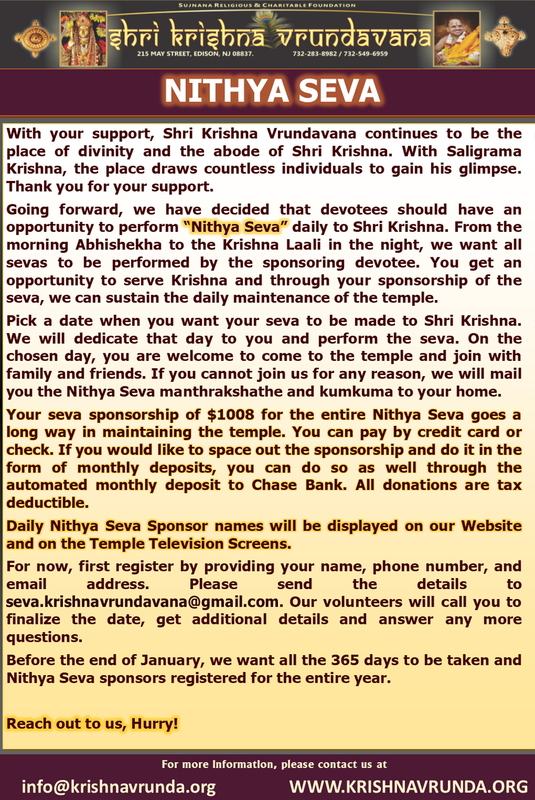 Shri Krishna Vrundavana is affiliated to Sujnana Religious & Charitable Foundation (SRCF. Until Jan 2009, the organization conducted various events at different Hindu temples including the Dwarkadish temple, Parlin. 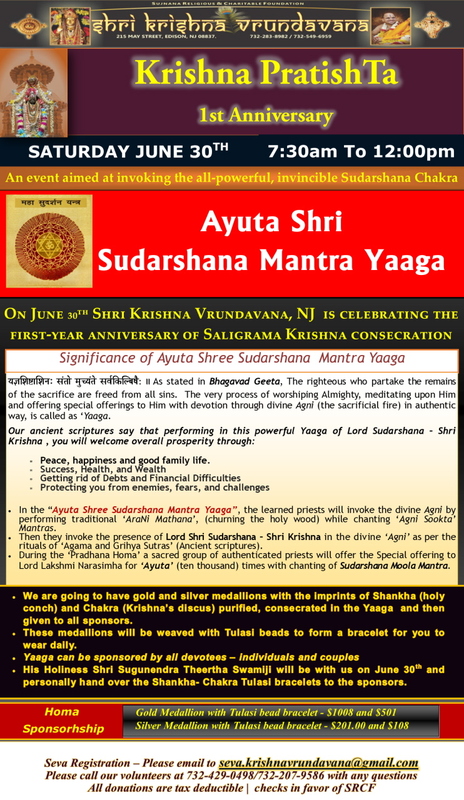 In Jan 2009 Krishna Vrundavana found its new permanent location at 215 May Street, Edison, NJ.